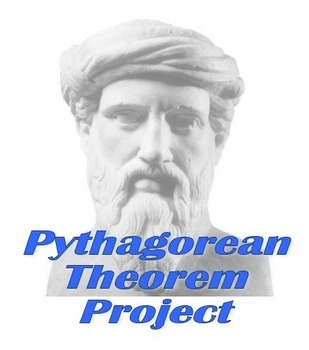 This is a project is designed for 8th graders to show that they can apply the Pythagorean Theorem to real world situations. Student may work alone or with partners. I usually allow about three days of in-class work time, with technology, and finish the project with students sharing their word problems with the class. I've even used some word problems with future classes. This project assesses Common Core standard 8.G.7. You will receive one page describing the project, and the second page is a scoring rubric. **If you purchase this project, and would like a Google Apps version, please message me and I will share it with you.